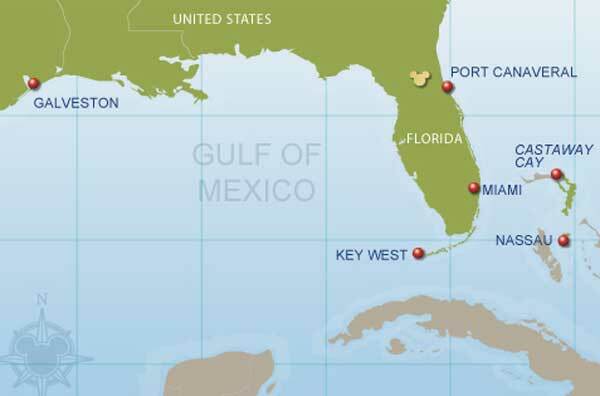 The ports of call on the Disney Bahamas cruises are Key West, FL, Nassau in the Bahamas and Castaway Cay (Disney's private island). While in Nassau you'll find some excellent excursions including the Atlantis Resort (located on Paradise Island), where a visit to the beach and/or the casino might be what you're looking for. Other options include the Historical Harbor Tour, a visit to Blue Lagoon Beach as well as other excursions chosen by Disney to enhance your time here. When shopping in the Bahamas, a 7.5% value added tax will be added to goods and services purchased in the Bahamas, which will include Nassau and Castaway Cay. Purchases on the ship will not be affected. On Castaway Cay, this will be added to beverage purchases, bike rentals, spa services, Stingray Adventures, snorkel and float rentals, merchandise purchases and may apply to select port adventures. In Nassau, there will be no VAT added to linens, leather goods, jewelry and watches, gems, sunglasses, and cosmetics purchased from a licensed duty free store. The 3 and 4 day cruises are a particularly good choice for those cruising for the first time. Many guests are concerned about how well they will fare at sea. These shorter cruises gives them a chance to experience a Disney Cruise vacation, and often leads to a "repeat" cruise on a longer itinerary. 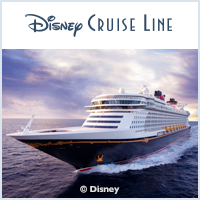 The 3 and 4 night Disney cruises are also very popular as an addition to a land-based vacation at Walt Disney World. Many guests start out staying at a Disney resort, and move on to finish their vacation with a relaxing voyage aboard Disney Cruise Line. The ports of call on the 3 and 4 day cruises are Nassau in the Bahamas and Castaway Cay (Disney's private island). There are excursions that you can schedule at either destination. The 4 day cruise includes a relaxing day at sea. You can do as little or as much as you like while enjoying your last day aboard the Wonder. There will be activities scheduled throughout the day to make this day as magical as you'd like.